4.5 / 5 from 44 customer reviews. 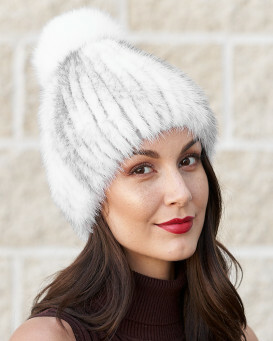 "Love, love, love my new hat! Received it in record time. The hat is adorable and better in person than in the picture. I am not wishing for cold weather to get her early, but very anxious to wear it. Thank you so much for a beautiful product." "Gorgeous little hat - well made, good universal fit with just enough stretch. 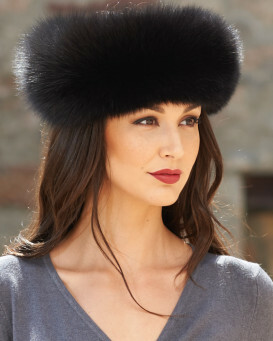 The slightly coarser fur lends itself well to a hat that will stand up to a northern climate. I wore it on a wet, snowy day, and got it really wet but still kept me very warm. It "air-dried" beautifully overnight and looked as good as new in the morning. Happy with my purchase - I will get a lot of wear out of this garment." "Great hat!! Comfortable, does not mess up your hair ! Wore it in -7* PA weather and it was very warm. Bought several items from furhatworld and pleased with all; quality is very good and service great." "I love the hat I purchased from furhatworld very well-made warm and comfortable very stylish the website was very easy to use .But my only complained was my package was stolen by the UPS driver so I was forced to order another hat to have it by Christmas"
"My black mink hat with raccoon Pom is very luxurious and is soft , shiny and comfortable to wear. Also as expected is nice and warm in cold weather. I love it and it looks like a million!" 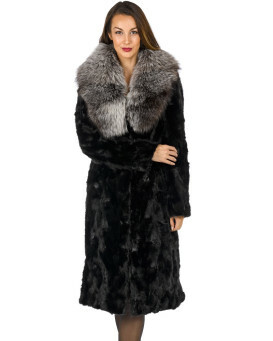 "While it rarely gets cold in Houston, when it does, the Mrs. will be looking stylish. She loved the gift. I would've paid the full price, but it was a great value on sale." 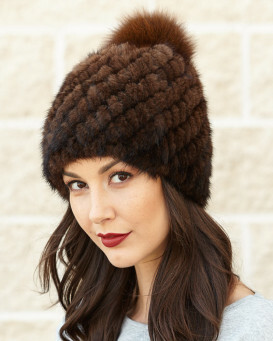 "Bought for my good lady unfortunately the one size fits all didn’t as it was too small also the Pom Pom was small. I have returned the hat for a refund. This was my fifth purchase from FHW and the first time my wife hasn’t been completely happy. Ease of site and delivery are excellent I would recommend them to anyone." "Beautiful hat!!! Well made! I get a lot of compliments!!!"